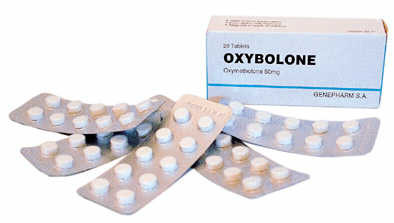 Brand names: Anadrol, Anapolon, Anasteron, Dynasten, Hemogenin, Oxitosona 50, Plenastril, Roboral, Synasteron. Anadrol is an oral drug with a dosage of 50mg per tablet. It is the strongest oral on the market. It has both high androgenic and anabolic effects. Strength and weight gains are very significant. It is highly toxic to the liver. Anadrol also aromatizes fairly easily. Package: 20 tablets per box. 5 mg per tablet. Usage: Average dose is 1-2 tablets a day with maximum of 4 tablets a day.